The Most Influential Paper Award is a yearly presentation to authors of a particular paper at aspect-Oriented software development conference held 10 years back. The prize money of $1000 is split among the contributing authors of the paper. The basis for the selection is the amount of influence the paper has had in the past decade after its presentation at the year’s AOSD conference. 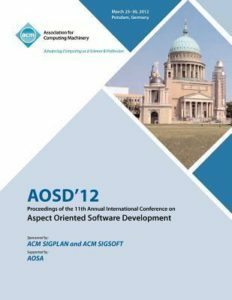 “Dynamic Weaving for Aspect-Oriented Programming”, a paper presented at the AOSD 2002 by Thomas Gross, Andrei Popovici and Gustavo Alonso won the 2012 edition of AOSD conference. 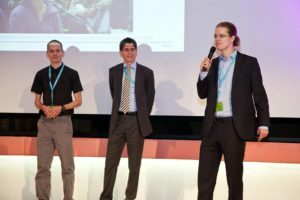 The paper was outstanding for presenting the first aspect-oriented program that shows how feasible it is to see aspects as first-class units that can either be developed or undeveloped in a dynamic fashion in JVM-based languages. The approach is the execution environment that supports aspect weaving directly contrary to what holds with bytecode or source code. The authors show how this could be arrived at in standard language execution environment. For the feat and revelation, the work has continued to generate further research on dynamic aspect weaving up till now. Andrei Popovici is a graduate of computer science from the Technical University of Darmstadt in Germany from 1993 -1998. He started working as a teaching and research assistant with Information and Systems Group, ETH Zurich in Switzerland. In 2003, he had his Ph.D. in computer science. Thomas R. Gross is a computer science professor at ETH, Switzerland. He heads the Computer Science Institute. Between 1999 to 2004 he was the director of NCCR, a research center of the Swiss National Science Foundation. After his Ph.D. in electrical engineering from the Stanford University, he joined Carnegie Mellon University in 1984.